The SOLARDOME® PRO architectural system enables us to produce bespoke large geodesic domes up to 25m diameter. With no internal structures or deep foundations, they can be designed and built quickly and cost effectively. They can be clad with any type of material, meaning we can build to your specific requirements. 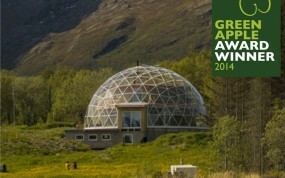 The domes can incorporate single glazed, double glazed, opaque and insulated panels into the design. With this system we can help make your dreams become a reality. We offer a full project management service from concept to completion and can work with you to create the perfect solution for your home and garden. With proven experience creating large geodesic domes for unique dome covers and dome homes, we are the ideal partner for your project.